At Hovercraft Training Centers, we provide far more than standard hovercraft flight training. For instance, our Master Hovercraft Pilot & Maintenance Training course teaches those who use hovercraft professionally to train others and to independently maintain and repair their hovercraft. This minimizes travel expenses for our customers and for our personnel, as well. 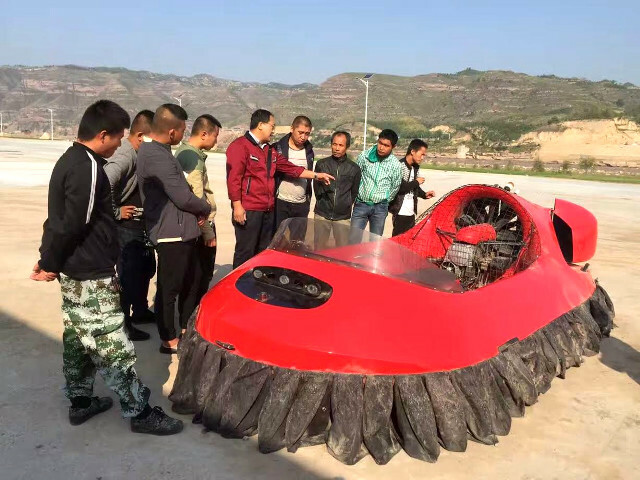 A good example is the recent hovercraft flight training that took place in China. 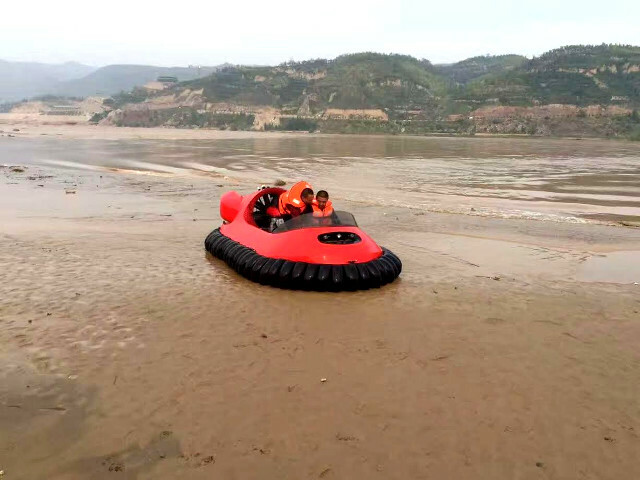 Yellow River Tourist Attractions in LuLiang City, Shanxi Province, already owns one 4-passenger Model 3877 Neoteric hovercraft and, due to its popularity, the company has increased their fleet with two additional 6-passenger Model 5854 Neoteric craft. 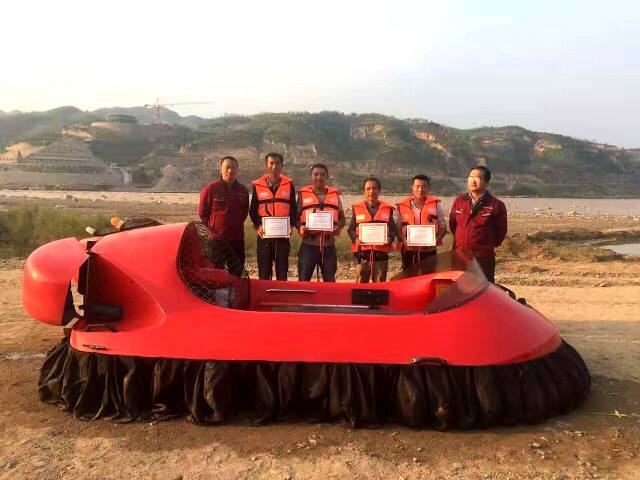 Neoteric’s agent, Mr. Huang Xiaogang, President of China Hai Pai Hovercraft, Ltd. – the leading hovercraft company in China – sent two of his engineers to conduct the training. 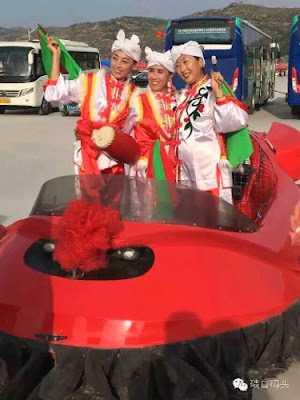 The Yellow River, where training took place and where all three hovercraft will be operated for tourism, is the second-longest river in China and the fifth-longest in the world. It’s famous for being the “mother river” of China and the cradle of Chinese civilization (2100-1046 BC). It takes its name from its muddy yellow water coming from the sediments it carries. Because of its heavy silting, ordinary boats can’t be used on the Yellow River. And in the last five years, it has flooded more than 1,600 times. Since Neoteric hovercraft are used globally as flood rescue vehicles, these three tourism hovercraft could serve a double purpose! 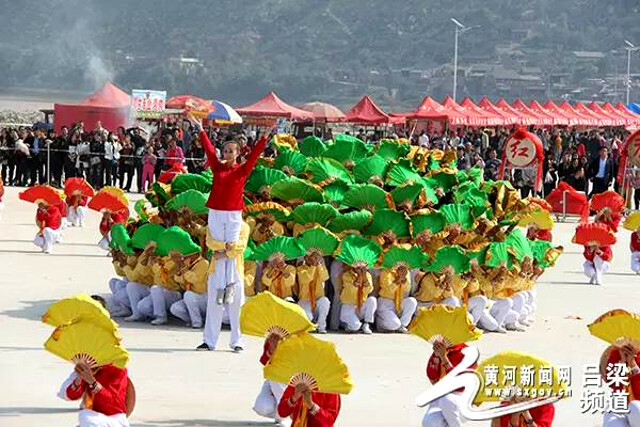 LuLiang City, with a population of more than 3.7 million, is located in the LuLiang Mountains. It has four distinct seasons, but is a tourist destination all year. Now its visitors, from China and from elsewhere in the world, will have an increased opportunity to see the many attractions along the Yellow River in areas that no vehicle other than a hovercraft can reach. 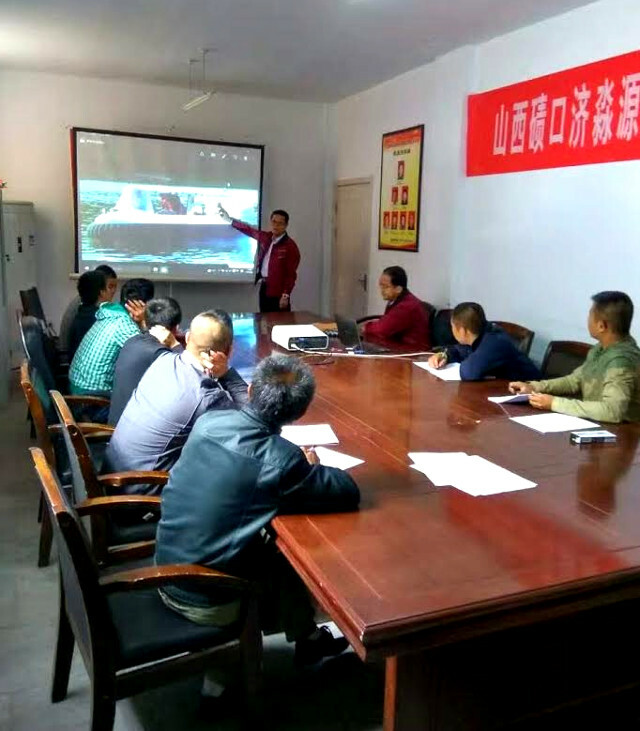 Recently, Neoteric’s China Hai Pai Hovercraft arranged a HoverTrek™presentation in YiWu, China for Mr. Gu ChaoXi, Vice-Minister of Civil Affairs, and Major General WenPing Feng, a Commander in the Chinese People's Liberation Army. 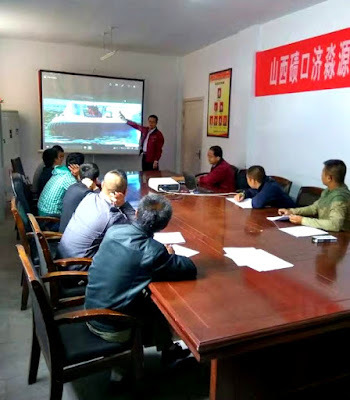 The presentation took place while the YiWu Emergency Rescue Team used their Neoteric Model 3626 65hp 4-passenger hovercraft to conduct flight training for additional pilots. For more than two centuries, Qikou, a unique terraced city carved into a steep hillside on the banks of the Yellow River, served as a vital trade hub. Goods coming by river had to be off-loaded in Qikou because the water was too shallow for boats to pass, then everything was loaded onto camel trains. But following the introduction of rail transport in the 1930s, the town fell into economic decline. On a positive note, the decline helped preserve Qikou’s ancient structures from being redeveloped into new buildings … and now new life has been injected into the city by the rapidly growing tourism industry. It’s official: Hovercraft + Training + Tourism = success in China!